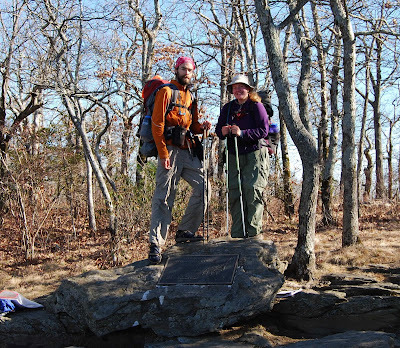 Mark; Jo; The Appalachian Trail: Springer! Done! Done? Done, done, done. Done!? Now we're at my relatives' in Georgia, well fed and sociabled and ready for bed. Well, well, well. The first line of this post is just the way I feel about it. And I didn't hike 1000 miles. Wow! Will you bronze the hiking Tevas?